Arritmia was made in the Caracas Game Jam 2013, en Caracas, Venezuela, by Yole Quintero and Ciro Durán, under the theme “heartbeat sound”. 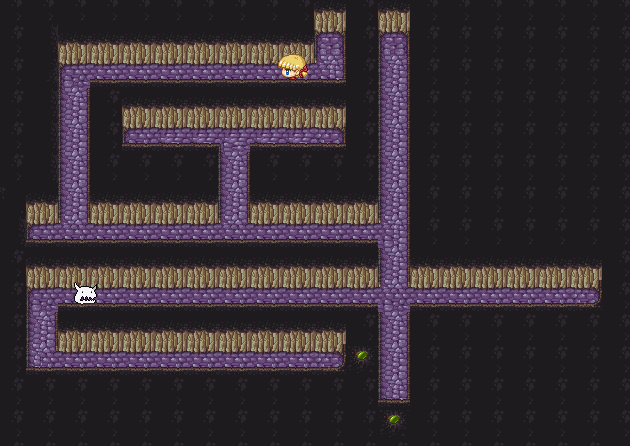 The objective of this game is to be able to reach the end of a maze, while you escape from a monster. The maze is completely dark, except when you press space bar. At that moment the maze is illuminated but this attracts the monsters towards the player. The player is able to move, but gets slower and slower as the player stumbles upon the dark. Made with Adobe Flash and Flixel. January 2013.